Member since February 3 2012. 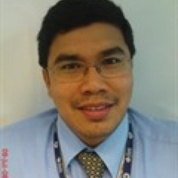 I am a lecturer with more than 10 years of teaching experience in the field of Economy and Business Management. I am actively participated in doing research; principal investigator for ‘Assessing Employability among Technical and Vocational Education (TVE) Students in Malaysia: A Study on GIATMARA Perak’ and a member for ‘Economics Analysis on Sustainability for Post-Earthquake in Acheh, Indonesia’. I have also received recognition such as Independent Evaluator for Technology Transfer by Malaysian Technology Development Corporation and EU Fellow-Evaluation of Sustainability from European Union-Marie Curie 7th Framework Research. In addition, I am an Independent Reviewer for Asia-Pacific Global Change Research Network (APN) which is based in Kyoto, Japan. I am presented a paper in the Gulf Research Meeting at Cambridge University, UK in 2010. Currently, I am pursuing my PhD at Environmental Policy Research Centre (FFU) Freie Universität Berlin under sponsorship of Technical University of PETRONAS. My PhD supervisor is Professor Miranda Schreurs and my PhD research work is focusing on Eco-Innovation Policy in Promoting Green Economy.